The filma��s storyline depicts the reality of the financial situation in 1987 and the gamble of money around the world. You have periods of financial boom with a kind of euphoria, when it seems like everybodya��s going to get rich and everythinga��s gonna be great a�� and then it all falls apart, and therea��s a realisation that only a few were getting richer at the expense of others. It happened in the Gilded Age in the late 19th century. It happened in 1929. It happened in 1987, which is when our film takes place. It happened at the turn of this century when the dot.com bubble burst and it happened again in 2008. And it could be happening again soon. Do you think people will accept a character that can be perceived so negatively? Jordana��s someone who led a life that wasna��t exemplary, that was pretty ignoble in a way. Not because he wanted to harm anybody per se but because this is what he learned from the world around him. So thata��s something that Ia��ve always been attracted to and is interesting to me a�� people like Jordan or Jake LaMotta or Tommy, Joe Pescia��s character in Goodfellas. People try to distance themselves from these kinds of characters: ita��s someone else; hea��s not like me. But in actuality, I feel ita��s not someone else.A� It is us. What did you initially feel when you heard the complete script of the movie? I had to have total freedom with the cast and crew to do what I needed, which meant we all decided that we were going to go all the way. This is a story about the profane as opposed to the sacred, the obscene as opposed to the decent. Yet ita��s not an exposA�. About your fifth collaboration with Di Caprio. Ia��ve been very lucky over the past 14 years or so to be able to check in with Leo and to be attracted to the same characters and stories. Therea��s a matter of trust in our relationship and that translates into the ability to take more risks a�� for me to push him as an actor and hopefully to be pushed as a filmmaker. Yes, hea��s 30 years younger than me but I must say the last several years have given me a kind of a reboot, so to speak, with a renewed energy and inspiration. Working withRob Reiner and Matthew McCona-ughey for the first time. Ia��ve always been a fan of Rob Reinera��s work as an actor and as a filmmaker a�� so finally I was able to hang out with him on this picture as Jordana��s father. And working with Matthew McConaughey for the first time was really interesting.A� I saw him in Mud, the Jeff Nichols picture and I really liked him.A� I didna��t recognise him actually. 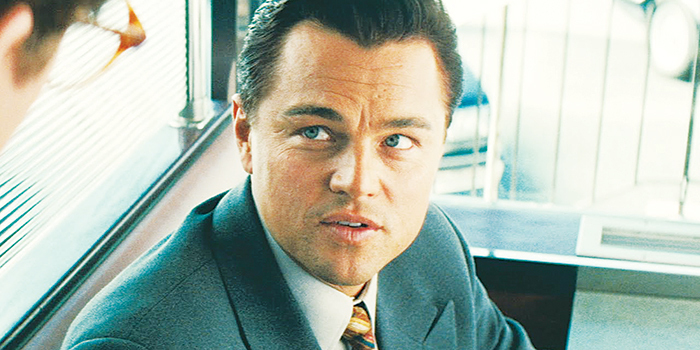 So when we talked about doing this part, he said,A� a�?What about my accent?a�� I said, a�?Well, why couldna��t there be a Southern accent on Wall Street?a�� In the luncheon scene in the movie, he and Leo played beautifully off each other and Matthew has a way of chanting these tonal vocal exercises, and that found its way into the film. It opened up the movie for us in a way that we were able to not have any limits as to what would be deemed absurd.A� Ita��s all absurd.